Learn how to use Tags to organise your Media library, and create randomised playlist structures. 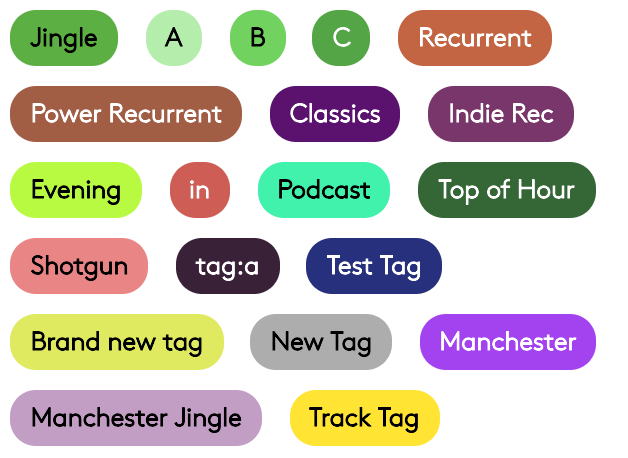 A tag is something which you can add to your tracks on Radio.co in order to categorise them, a tag acts as a placeholder for a regular track which you can use in your playlists to build your radio shows. How do I tag a track? Go to Media in your Radio.co Dashboard. Tick the box next to each track you'd like to add a Tag to. After doing this, click inside the text box in the top right corner. Type the name of the Tag you'd like to create, or choose an existing Tag. You can create or add multiple Tags. Click Add. The Tags will then be added to your selected tracks. Why should I use a Tag? A tag lets you categorise your media. This is handy if your media library is constantly being updated, as you can add the tag to your new tracks and you won't need to update your playlists with your new tracks (more on that later). Can't I just put my tracks into my playlists? You can do, yes. Adding your tracks to a playlist will mean that the playlist will only play your tracks in that order. This is good for shows you'd like to repeat or if there's a specific order you'd like things to play in. On the other hand, if you wanted to put all of your music into a playlist and then shuffle it, you wouldn't be able to do that. Radio.co doesn't function in the same way as Spotify or iTunes, so you would need to look at using Tags. How can I use Tags to shuffle my playlists? Tags can be added to any track. For example, you might want to tag all of your Jingles with a "Jingle" Tag, and all of your Classical music with a "Classical" Tag. 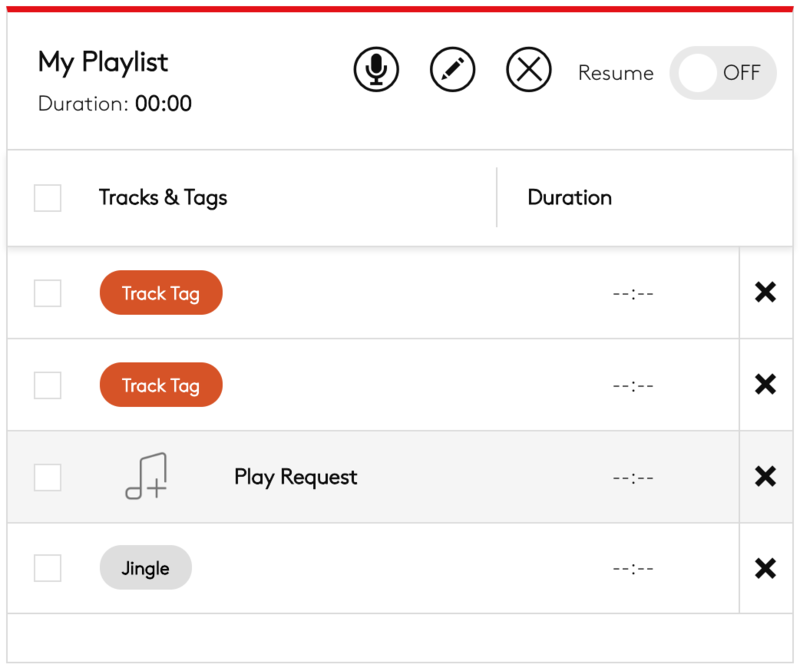 When it comes to creating your playlist, you can insert the Tag in place of all of your Classical tracks, and when the Tag is played your station will randomly choose any of the Classical tracks that have been tagged. Note: If you put a Tag into your playlist, it will play through each track and won't repeat the same one until all of the tracks have played. There's an example of this down below. What are the benefits to using Tags? 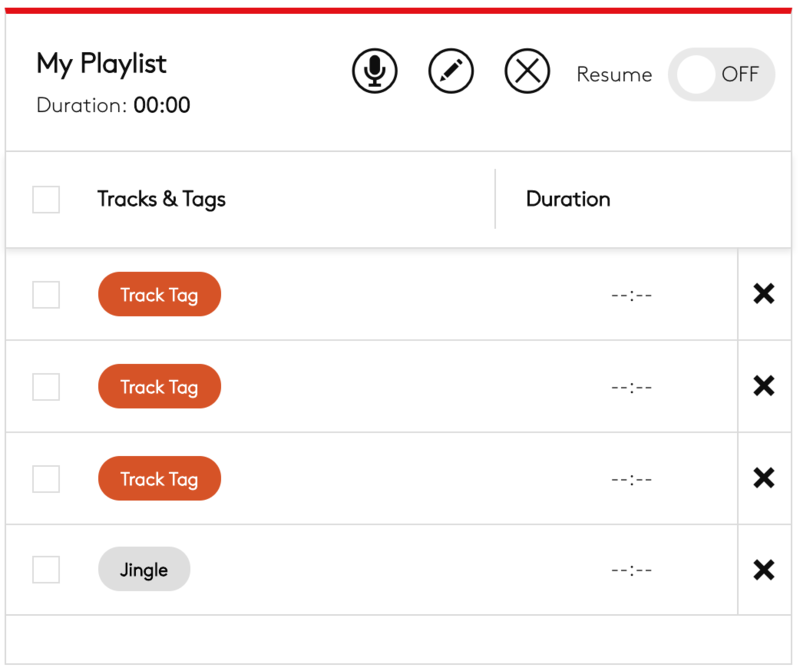 Creating playlists using tags allows you to quickly and easily put playlists together that follow a structure, but play different tracks each time. If you update your media library, you don't have to go back through your playlists in order to add those new tracks. Just add your Tags to the tracks, and then these will start to be used in your playlists. You can search your media library by tag. In the search bar, just type in tag: and you'll see a list of available tags. You can type the tag you want to search for, or select one that's available. After doing this, you'll see each track which has that Tag assigned to it. All of this lets you more efficiently manage your station playout. How can I use the special Request Tag in my playlists? As part of the Interactive Song Requests feature, you can play Requests by adding in the Request Tag anywhere in your playlist. This acts as a placeholder for your Requests, just like a regular Tag. You can learn more about Interactive Song Requests by clicking here. You can find an example of how to use the Request Tag below. The simplest form of playlist using Tags is a playlist with just one Tag inside. This will randomly choose a track from the Track Tag. As this is the only Tag in the playlist, the playlist will repeat this Tag over and over again, choosing a new track to play each time. It won't choose the same track until all of the tracks in That tag have played. The next step is to start adding more Tags to the playlist. This setup will play 3 random tracks which have the "Track Tag", and then it will play a random jingle from the "Jingle Tag". 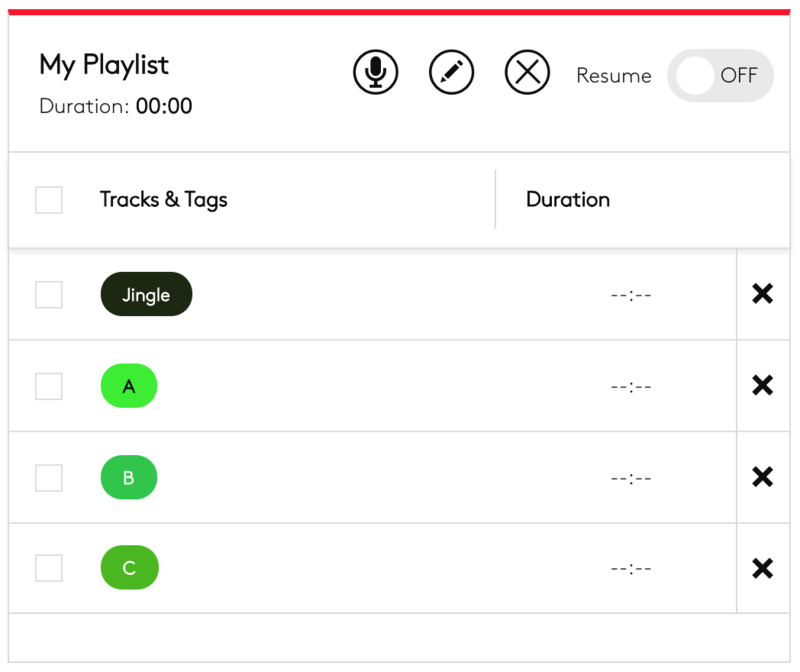 Then, when the playlist has finished playing the Jingle Tag, it will restart from the beginning with another Track Tag. As before, tracks won't be repeated until every track in that Tag has played. If a track has been requested, it will play in place of the Request Tag. If more than one track has been requested, then the most popular track will play first. Learn more about Interactive Song Requests. In summary, Tags are placeholders for tracks when they are put into playlists. Any track that has been Tagged can play when the Tag is in a playlist, and the same track will not repeat until all other tracks have played. One final thing to consider, though, is that your playlists could play the same artist or album back to back or within a short time frame. To prevent this, you can enable the Separation Rules setting. This is a feature we only recommend to advanced users as it can cause disruptions if used incorrectly. You can learn more about Separation Rules here.